Spring summer catalogue & Sale.A.Bration. Hello and welcome to our 4th project. This time I ask going to use one of the sale.a.bration stamp set. And there are a few stamp sets too. 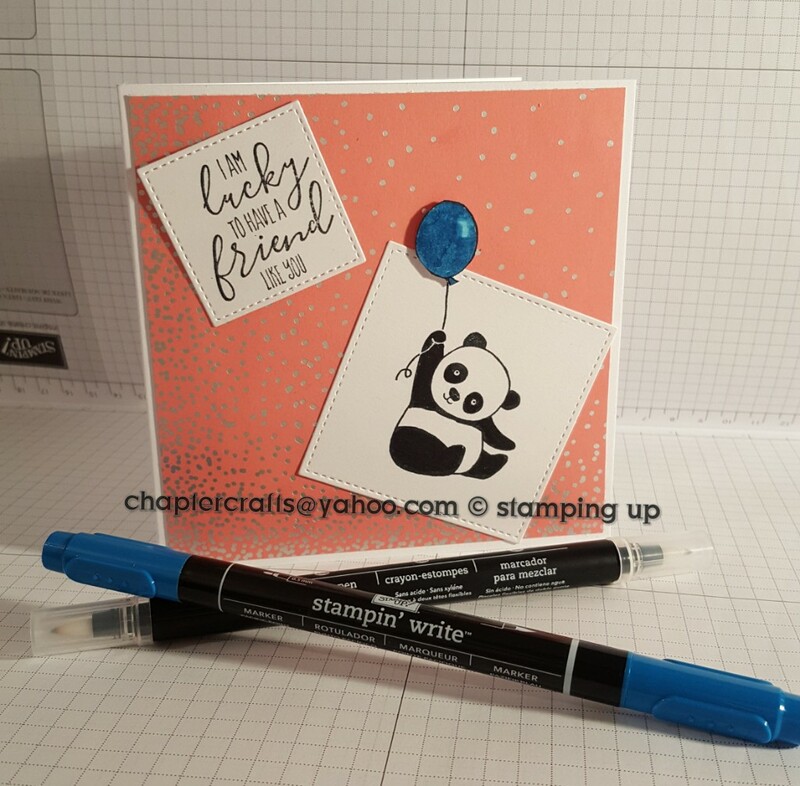 For this card I have heard the party panda stamp set. Whisper White card stock 4 15\16" x 9 7\8"
Using Whisper White card die cut out the largest and 2nd to smallest squares using the stitched frame lets. Labels: Spring summer catalogue & sale.a.bration. panda party card.